One of the neat consequences of teaching my “Poker in American Film and Culture” class has been getting contacted by others with an interest in the course and/or who are themselves teaching college classes in which poker has a place. Recently I ended up starting a correspondence with a fellow named Bruce McCullough who has taught a neat honors course over at Drexel University called “Poker, Probability and Decision-Making.” He sent me his syllabus and I sent him mine, and we ended up exchanging a few messages before I suggested possibly interviewing him for a Betfair poker column. He agreed, and today the interview was posted. His class looks very interesting, and he really makes a great case for how poker serves as an excellent tool for learning about probability and decision-making. His own story about how he got into poker is quite fun, too. 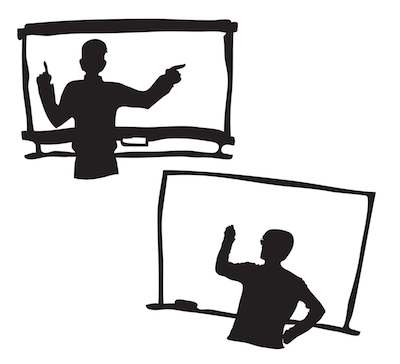 If you’re interested, go check out the interview, titled “Poker in the Classroom: Teaching Probability and Decision-Making.” I’m now imagining perhaps eventually taking to other folks teaching courses involving poker and having a little series of “Poker in the Classroom” interviews with them. During our exchanges Bruce recommended the 1990 film Havana to me as one I might want to consider including in my course. It’s an interesting and entertaining film starring Robert Redford as an American poker player named Jack Weil who finds himself kind of caught in the middle of the last days before the Castro revolution in Cuba at the end of 1958. I ended up writing about the film this week over on the Epic Poker blog for my “Community Cards” column where I talked about the way it uses poker to flesh out Jack’s character. I also noted how there seemed to be a connection between poker and American identity being advanced in the film, with Jack -- the supposedly non-political American only interested in playing cards -- getting caught up in the revolution thanks largely to his attraction to a woman. The movie also has more than a few parallels to Casablanca which make it even more interesting to those of us who are fans of that film. I talk some about that as well in the “Community Cards” piece, but one item I don’t mention there is the fact that Jack owns some high-level textbooks on probability. Bruce found that detail quite interesting, as you might imagine, and so back over in the Betfair piece I asked him a little about that at the end of our conversation. 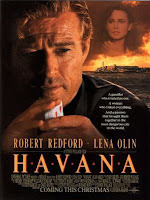 So if any of these things interest you -- college courses involving poker, the subjects of probability and decision-making, the film Havana -- click them links above and let me know your thoughts. 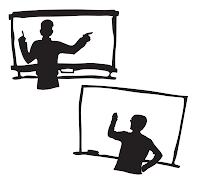 And if you happen to teach a class that involves poker or know about one, let me know about that, too! What a great interview. It's great to see someone getting the positives that poker skills and thinking can bring to the table more out in to the mainstream. And it sounds like a great class.